Ah, Christmas. The season of sewing. I actually did pretty well this year - I finished most of my tops a while ago, quilted a lot in advance, and only took on one last-minute t-shirt quilt order. That left me sitting relaxed three days before Christmas, catching up on the emails and blog posts. And plenty of time left for fun sewing! So what have I been sewing for everyone else for Christmas? Charming Cardinals, for my father- and step-mother-in-law. 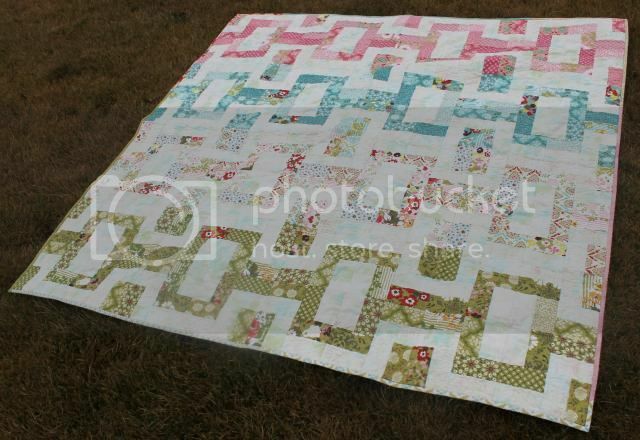 Gigi's Quilt, for my husband's grandmother. A Princess Picnic, for my niece. 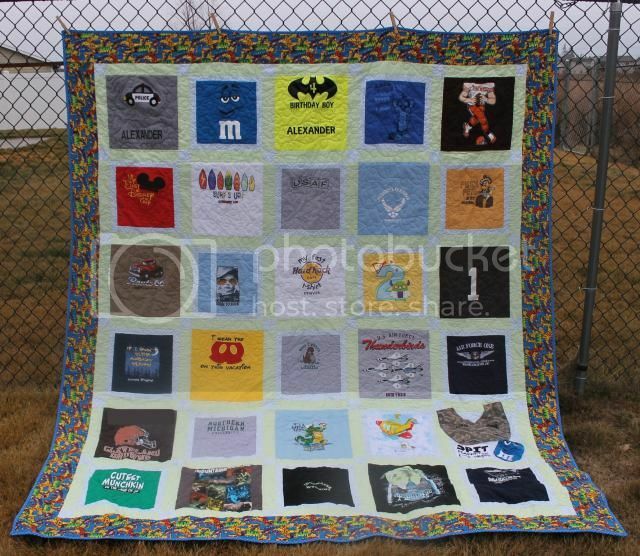 Alexander's T-shirt Quilt, which will be blogged...soon. 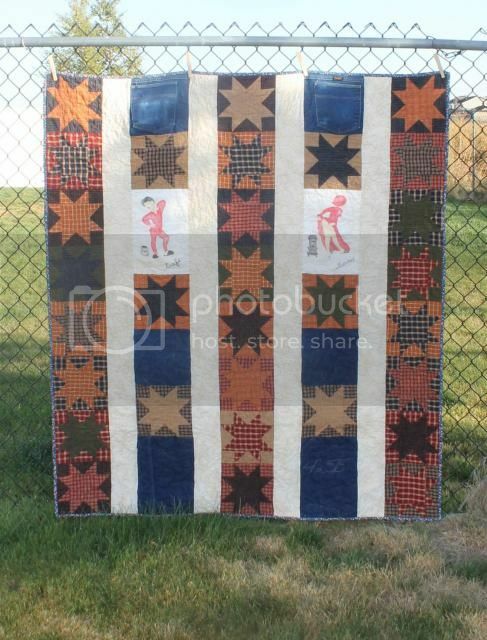 It was a local t-shirt quilt order and handed off just in time for his mother to wrap it. 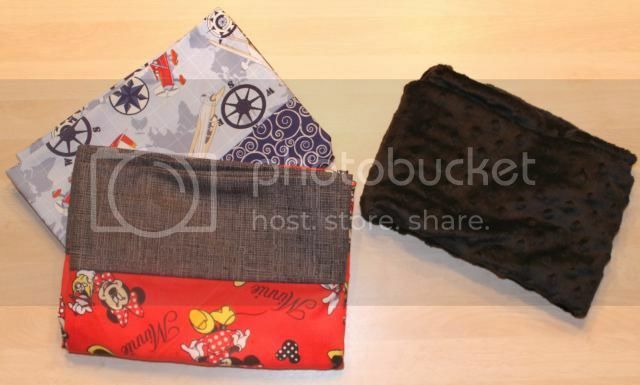 And then my own boys will each get a pillowcase - Minnie for the Little Man and airplanes for the Dude. The Dude is also getting a minky neck warmer, because scarves aren't cool. And by not cool, he means "it's not cool that I keep getting the scarf caught in my coat zipper." And now that I finished all this for everyone, Santa best be bringing me some fabric store gift cards! 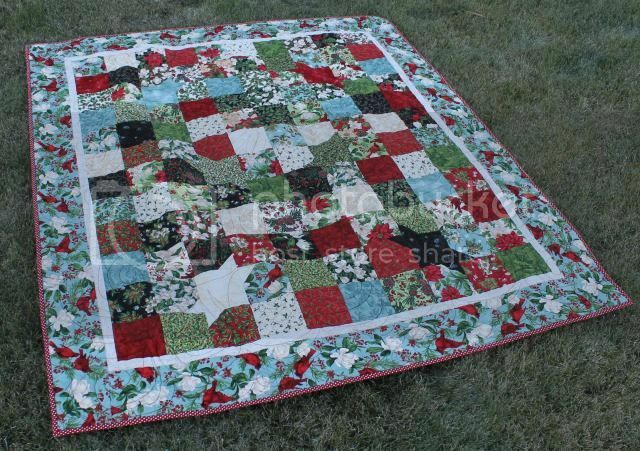 See what the rest of Santa's elves are up to at Porch Swing Quilts!